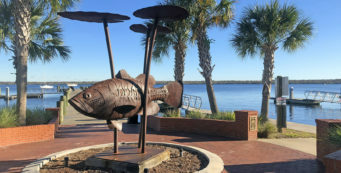 Recreation on Florida's Water Management District lands | Florida Hikes! 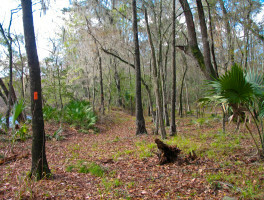 Exploring trails in lands managed by Florida's Water Management Districts. 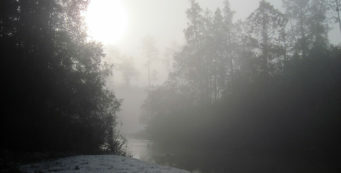 Most are in floodplain areas or bordering rivers or lakes, and are often jointly managed with other agencies. 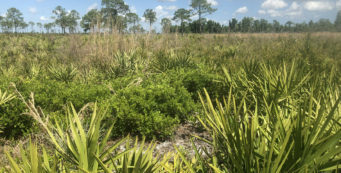 Buffering Chassahowitzka WMA and considered an extension of it, Annutteliga Hammock Conservation Area protects 570 acres of sandhills and scrub while offering several loop hikes. Made up of liquid pools of beauty on the edge of Florida Caverns State Park, Baltzell Spring is a compelling destination for spring hunters along the Chipola River in Marianna. 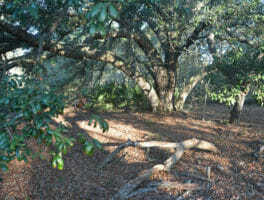 The Big Oak Trail is one of the most scenic hikes in North Florida. 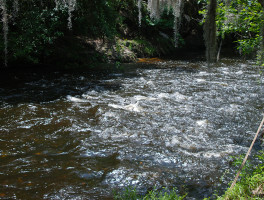 Much of the hiking parallels the Suwannee and Withlacoochee Rivers, which meet here at a confluence. 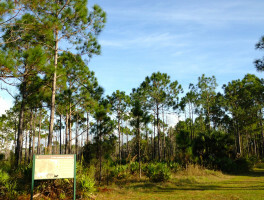 On this 1.5-mile loop atop a scrub ridge in the southeast corner of Buck Lake Conservation Area, watch for a flash of blue- Florida scrub-jays are found here. 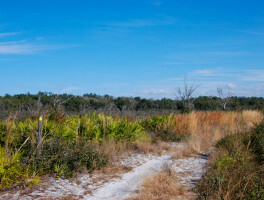 Hike up to 5 miles on levees through the marshes of the St. Johns River at Canaveral Marshes Conservation Area between Orlando and Titusville. 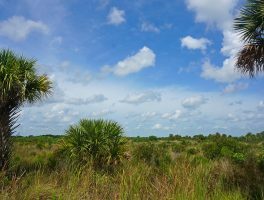 Rich with wildlife, CREW Bird Rookery Swamp near Naples provides up to 12 miles of hiking/biking in Big Cypress habitats on tramways through a primordial swamp. 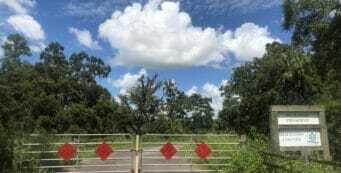 Explore the northwestern boundary of Corkscrew Marsh – one corner of a massive conservation area surrounding Corkscrew Swamp Sanctuary and protecting the watershed feeding the swamp – on a series of trails that traverses through pine flatwoods, oak hammocks, and palm hammocks. STATE PARKS. STATE FORESTS. NATIONAL PARKS. NATIONAL FORESTS. 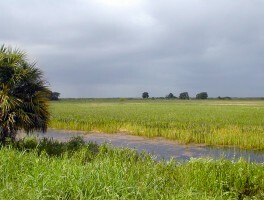 NATIONAL WILDLIFE REFUGES. COUNTY PARKS. NATURAL LANDS. CITY PARKS. WATER MANAGEMENT AREAS. 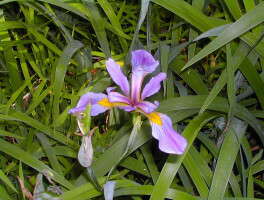 WILDLIFE & ENVIRONMENTAL AREAS. 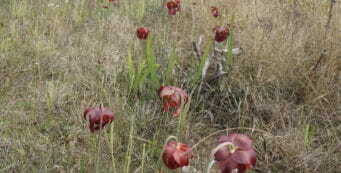 WILDLIFE MANAGEMENT AREAS. MUSEUMS. NATURE CENTERS. 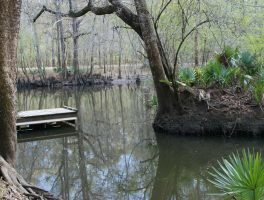 WETLANDS PARKS.